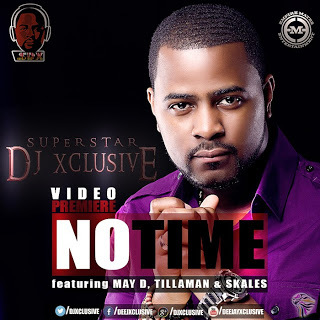 Back in February of this year, Wizkid's official DJ and EME DJ, DJ Xclusive debuted a new song ‘No Time’. Tillaman, May D and Skales all make a feature on the club banger and also in the video, directed by Squareball Adasa Cookey. EME's - Banky W, Shaydee and Niyola all make guest appearances in the video, as well as Uti Nwachukwu, Sean Tizzle and a number of others. Superstar DJ with a superstar video!